These are glass drops that were made in Czechoslovakia. 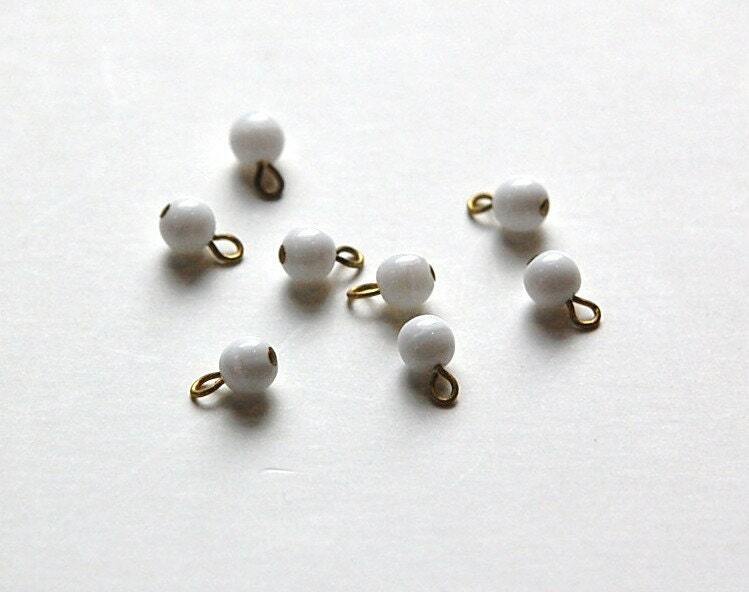 They are an opaque white smooth glass bead with a raw brass loop. 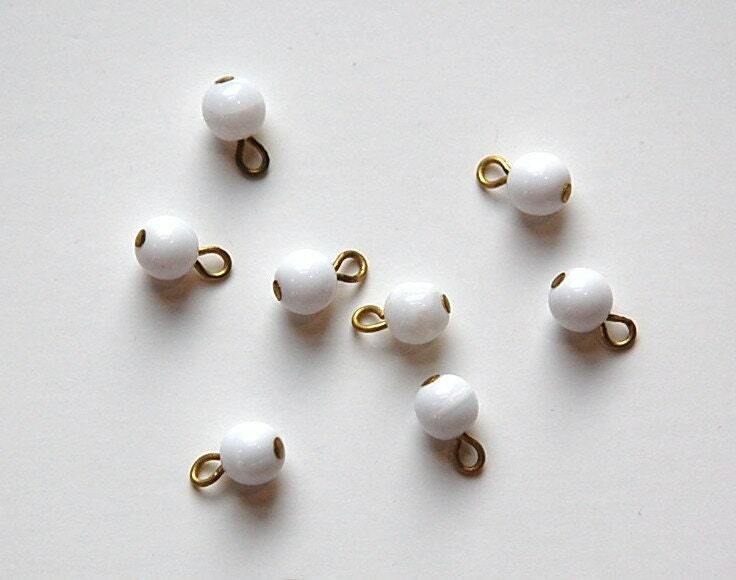 The beads measure 6mm. You will receive 8 pieces. I have these in red, jet and light blue and other sizes too.